A chance to explore the Christian faith, ask questions and share your point of view. Join us for a delicious meal and great conversation in a safe & friendly atmosphere. We run Alpha courses in Radlett every Autumn. These are run by the three Parishes in the Team - Aldenham. Radlett and Shenley. Generally they are held from September through to the beginning of December and are held on Thursday evenings. 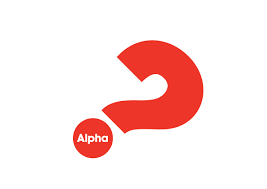 Alpha is an international course that has been running for many years - over seventeen here in Radlett. It is designed primarily (but by no means exclusively) for people who aren't churchgoers, or who come to church as a matter of custom, but who might want to go a bit deeper and explore what 'being a Christian' could be about in its fullest sense. The evenings begin at 7.15p.m. and after a hot meal and a talk, it breaks into small groups where hosts and helpers enable and encourage everyone to ask questions and share experiences. Whatever is said in the group discussion is entirely confidential and over the weeks a feeling of trust is created and a full exploration of doubts and questions takes place. For more details and someone to answer questions, please contact any of the clergy.